ROMSEY Ecotherapy Park is one of three Macedon projects to be selected for funding through the state government’s Pick My Project fund. Voting results were released on Tuesday with the Romsey Ecotherapy Park’s Climbing Forest project the fourth-highest vote getter in the Loddon Campaspe region with 329 votes. The Romsey Ecotherapy Park committee ran an intense campaign to lobby for community votes to support the $200,000 addition which will see a challenging pole, ropes and net course installed at the southern end of the park’s recently opened Active Nature Space. Romsey Ecotherapy Park president Raelene Mottram said the committee is incredibly grateful for the community’s support. “It’s fantastic that it’s come to fruition. We’re really excited. It fills in this space for the active nature space that was originally planned and it just builds on the momentum of the park,” she said. “We’re really excited and we’re thankful for the state government for putting it forward and congratulations to all the other projects that will go ahead too. The three successful local projects will share in $463,500 of grants through the $30 million Victorian-first initiative. The two other projects to receive funding were the Woodend Kindergarten’s playground upgrade and nature-based inclusive outdoor learning space for children, carers and community, and a Trentham community art installation to celebrate renowned steel, stone and wood sculptor Matthew Harding’s life and work and to raise awareness of the high rate of suicide among men in regional areas. With funding now secured, the Romsey Ecotherapy Park team is looking forward getting the ball rolling on the Climbing Forest and hope to install it early in the new year. Member for Macedon Mary-Anne Thomas said it’s fantastic to see these three local projects win support from our community through Pick My Project. 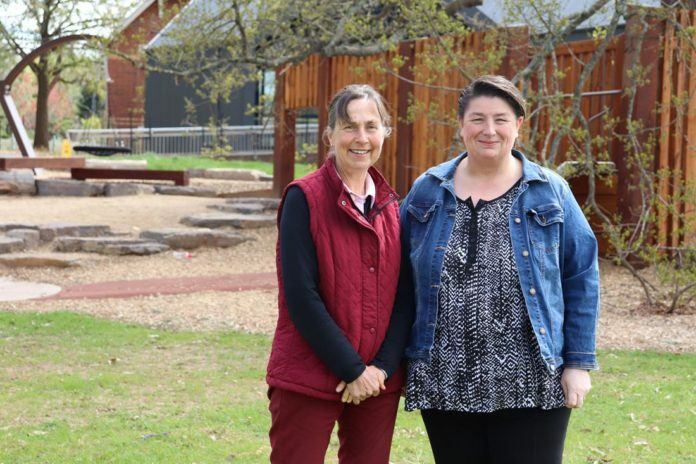 “The Climbing Forest is a major part of stage two of the Romsey Ecotherapy Park development, so it’s great to see this wonderful project get the nod from our community,” she said.